So Minecon Earth 2018 was very exciting this year and I hope you all enjoyed it as much as we did. But for those of you who may have missed it. No worries we got you covered with all the latest and greatest that was announced this year! Here is a preview of all the things they announced. New Minecraft Update Coming Soon! It’s going to be called Village and Pillage. 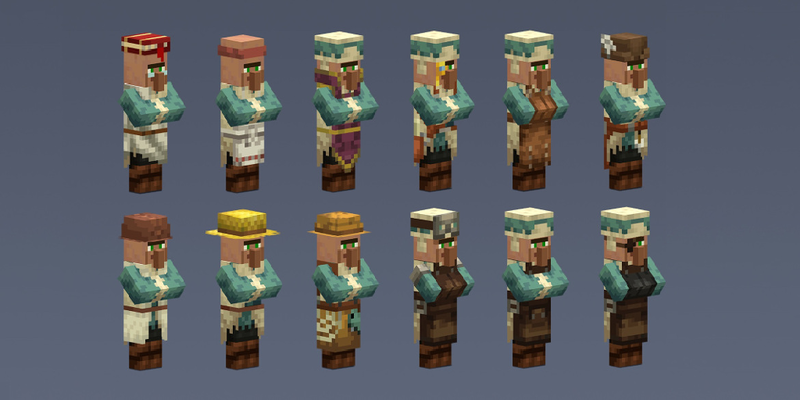 With massive changes to the way villagers look, interact, jobs and more! As well as updated biomes, weapons, beasts and just more then we can even list! Next up is the huge announcement coming sometime next year is Minecraft:Dungeons! An entirely new game from Mojang that will be a co-op experience where you will gear up and take on baddies in procedural generated dungeons! New and improved add ons are coming to the game as well with Scripting API coming soon! A vote was cast on which biome people wanted updated first and the winner was Taiga! But not too worry as desert and savanna will be getting updated as well at a later time. There is a ton more information we didn’t get to cover. If you want to check out the full details and even more information check it out here.